under Looking after your Penguin. This is a replacement piece of glass which can be used if your current stove glass is broken or cracked. Available for all stoves and stove ovens. Rope seal kit to replace old worn out rope seals. Check these regularly. Don’t let your penguin leak. Vermiculite fire bricks line the firebox and protect the stove body from the heat of the fire. Keep your penguin safe. For more information, click here. The removable metal roof of the fire chamber. It should always have a vermiculite throat plate brick fitted as well. Let your penguin breathe. Includes x8 clips, x8 screws, self adhesive rope seal and instructions. Includes x4 clips, x4 screws, self adhesive rope seal and instructions. (ex.Chilli Billie), and only needs to be ordered if it’s been misplaced. This kit need to be fitted to your stove before installation if you live in a smoke control zone. Comes as standard with all stoves (except Chilli Billie). 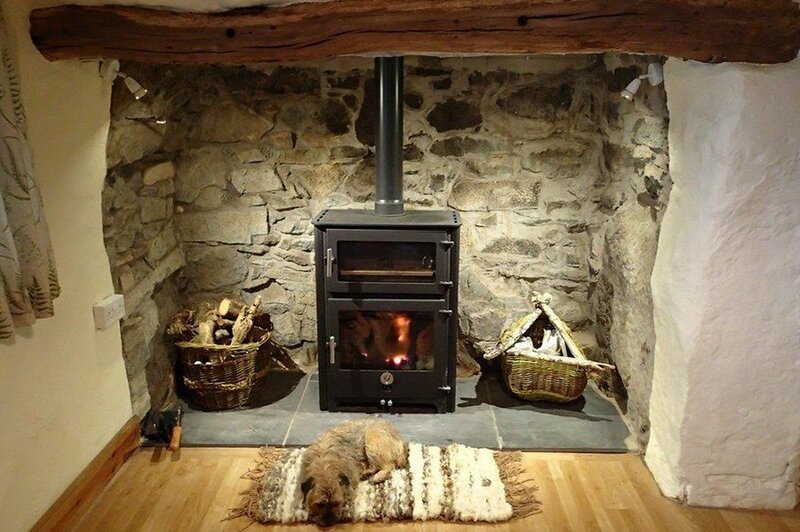 Our plinths are used to give the stoves additional height as well as providing extra log storage underneath. They can be colour matched to your stove. Plinths are available for all of our stoves except for the Chilli Billie. This top plate sits on top of your stove. This provides a very practical and attractive top surface, which kettles and pans can be placed directly onto. Designed for a rear exit from the back of the stove before a vertical or upwards turn. Not required for the cooker models. Designed for a rear exit from the back of the stove and then continuing horizontally, regulations specify a very short horizontal run allowed. Not required for the cooker models. Supplied in aerosol form, available in all of our colours. If you are opening up an old fireplace and want to retain the brick finish you can use these frames to give a clean sharp edge to the opening whilst covering up the edge of the facing plasterwork. 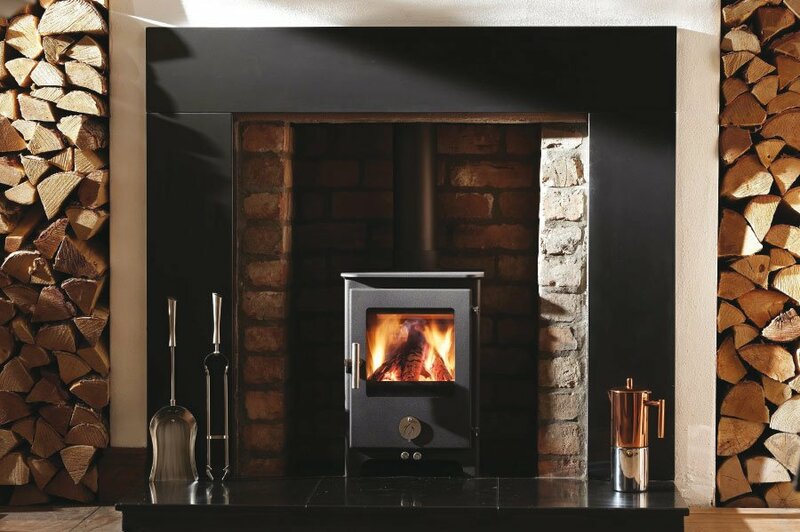 These are available for all of our stoves except the Chilli Billie, 1.4-3 kW, depending on model. Power-coated steel sheets with brackets to maintain an air gap. In some installations, these can be used to reduce distances to combustibles. This kit can be fitted during the stove manufacture to allow for direct air to feed the stove. The Penguin Enclosure is a heat enclosure for the Chilli Billie. There is a square and circular version. It provides heat shielding at the base, rear and sides. There is also an integral fixed collar for the flue. The design of the enclosure maintains air gaps between the shield and all surrounding surfaces. The oven height can be increased in the Hungry Penguin, Fat penguin and High & Mighty. This increases the internal oven height by 100mm. Available for the Short penguin, Woody, Hungry Penguin and Penguin 8. These are made to order. Please discuss your height requirements with us. (This is a non standard product so please allow for extended lead times). Stainless steel starter pipe for the Chilli Billie with integrated cleaning access hatch. Slots into the flue outlet of the stove. Twin wall flue can be connected directly into this. A waxed mild steel quadrant hearth.